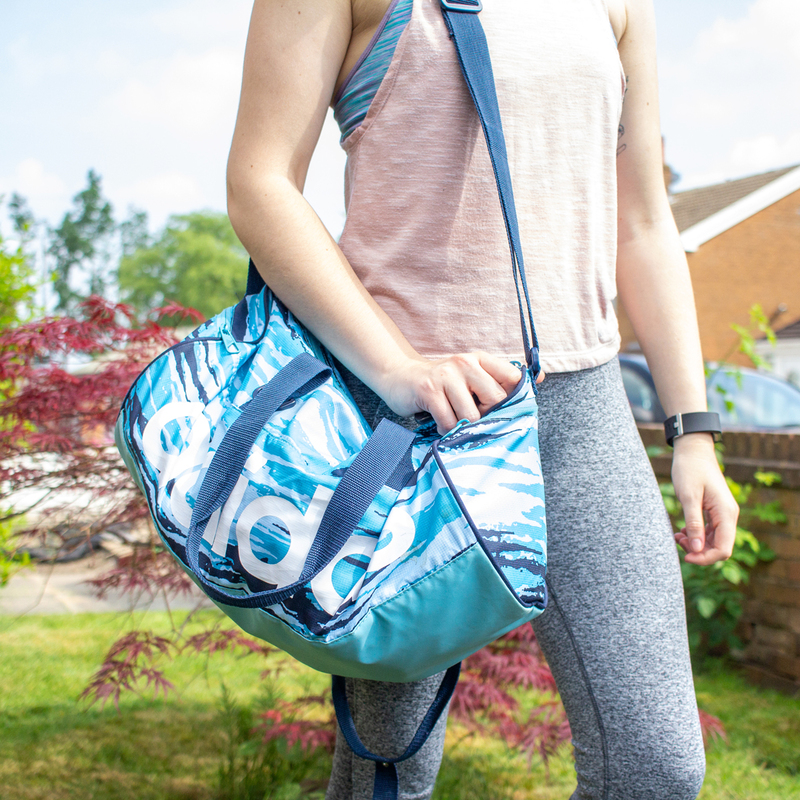 Things are so much better when you have them organised, and that’s no difference when it comes to gym gear. 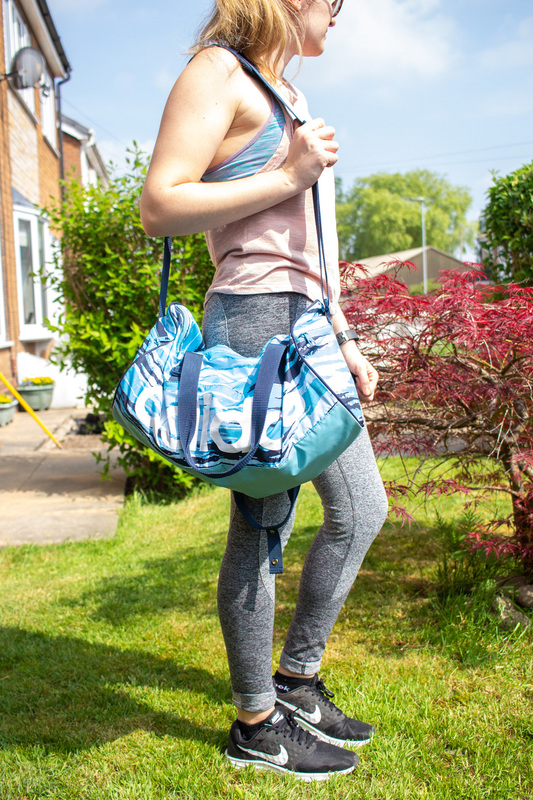 I love to keep active and having a set place for gym essentials makes everything run much more smoothly. I can go to the gym without having to search for things! There’s nothing worse than turning up to the gym and realising you’ve forgotten a bobble to tie your hair up, or you’ve forgotten your headphones or something else you really wanted to use. I mean this happened way too often to me thanks to always switching bags, so I got my self a dedicated gym bag. It meant I could leave certain things in there so I wouldn’t forget them. And it makes life so much easier! A simple fix, but an effective one. 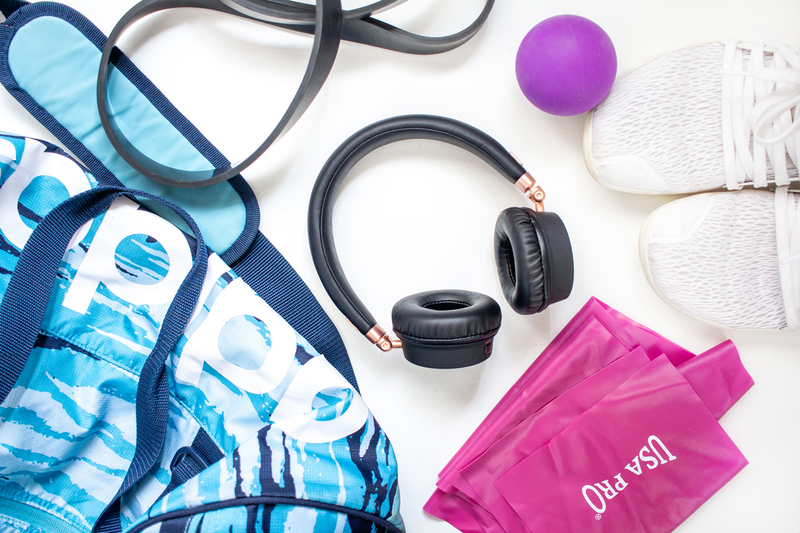 And here’s what my gym bag essentials include. To be honest, I keep my gym bag fairly basic because there’s just no need to stuff it. Most of the stuff I need is already in the gym. Kit that I may use in the gym currently include resistant bands and a massage ball. The resistant bands I have are two quite different ones, and really I only use them to stretch out my shoulders. I’ve just bought a couple of new bands though to use for leg workouts, so they’ll be added in! The only other thing missing is ankle straps for cable workouts, and I really good use some of those. Essential if I’m at the gym and then heading straight out to work. No one wants to spend the day feeling all sticky and sweaty after a good workout. My gym bag came with a little bag and I use that to store all my showering/freshening up products. 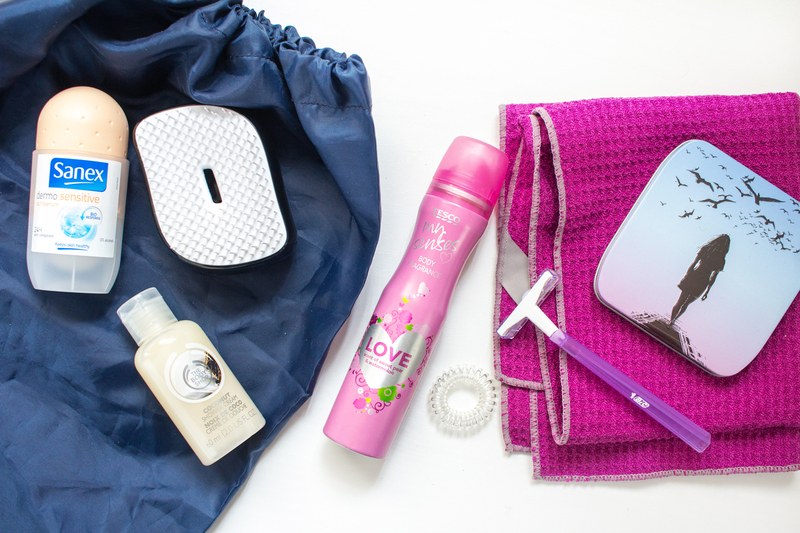 I still keep it quite basic – all I want is a quick shower after a workout. I’m not washing my hair here. I have a shower gel (miniatures that you get in Christmas gift boxes are perfect here), deodorant, body spray, brush, razor, spare bobbles and those just-in-case-the-period-appears pads. Those are hidden in that cute little flat tin – Always or Bodyform occasionally have these stuck to their packs in stores when they have a promotion going. Oh and a small towel. That’s always useful. This one doesn’t wrap around me in the slightest, but honestly I find it’s enough after a quick shower. Plus its less wet material to be sat in the bag all day whilst you work.